Another round is in the books and we now have a tenth WRiTER moving into the next phase of this little experiment. The bout was especially tight and I thought for a minute I was going to have to break out my tie-breaker vote, but fortunately one of the contestants pulled ahead at the end and here I am to take the winner by the wrist and raise their pen high over head. A job well done to both WRiTER's, but ART GALLERY becomes our tenth semi-finalist! 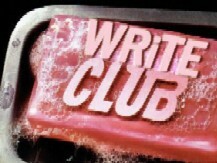 As always, you can check my WRiTE CLUB page for a breakdown of all ten winners along with links to all of the writing samples. Stella is also free to submit a different 250 word writing sample in case she is selected to WRiTE in the final preliminary round. Although my wife will be sending an email to each of the ten semi-finalist this week, I wanted to go ahead and remind you here of your choices heading into the next phase. 1) You can let your original 250 word sample stand as is, 2) you can augment that original submission by expanding it to 500 words, or 3) submit a totally different 500 word sample. If we do not hear back from you before your time to WRiTE, your original submission will do battle. Standing in the far corner, weighing in at 246 words, please welcome to the ring…….. The White Queen sits on her throne, pale and cold, with eyes like storm clouds, white hair bound into tiny braids. Her robe is the color of the dawn, shimmering and bright. She wears rings on all her fingers: glittering diamonds, rubies that glow like fire, and opals as luminous as the moon. From her bower she can see across the Great Chasm, clear across to the other side and the black tower that mocks her from afar. It is a precarious thing, all spires and darkness, glistening in the moonlight like black glass. In the tallest spire the Black King paces in his hall, a place of marble floors and smooth walls and candles flickering. Wood and incense burn in the braziers, scenting the air with musk and smoke. He moves like a cat, all stealth and caution. His eyes are like the night, dark and shadowed, his hair black as pitch, and his dress of days gone by. His tunic falls to his knees in velvet folds. His leggings are of quilted fleece and his boots are trimmed in ermine. He wears rings on his fingers; silver and white gold, and a band about his head etched in archaic runes. He can see her in his mind's eye, imagine her white hair and pale eyes. She sees him in her dreams, a shadow, beckoning. They think of little else but each other. For they are bound and crossed, lovers and enemies, promised and betrayed. And in the other corner, weighing in at 235 words, let me introduce to you …….. The king bowed before the shadowy figure. He straightened and peered into the cave's dark corner. But the slight form drew back even further into her stone chair. His impression was of long hair and fluid hands. "I know why you have come." Her voice was not young. It resonated with absolute certainty. "You want to grow your kingdom. You seek advice on how best to proceed." The king shifted his weight. This entire outing was unpleasant to him, but essential. His subjects had the greatest respect for their prophetess. They knew her much better than him, a new king, still unproven. If he could return to his subjects proclaiming that he was invading neighboring territories based on the Sibyl's advice, he'd garner much more support. He fought back his impatience at her impertinence. The Sibyl of Cumae bowed to no man, not even the new Roman king. "Yes, your sight is unrivaled, Priestess. I would like your advice on how to grow my kingdom successfully." The king doubted this tiny woman would be able to give him much useful advice, after all, how could she really know the matters of men? But he forced himself to wait for her answer. "I suggest you wed your daughter to the most eligible bachelor," she croaked. The king faltered. The Sibyl's words surprised him. But as he thought about it, he saw that the idea had merit. For you newcomers...anyone can vote, just leave your selection for which writing sample tickles your fancy the most in the comments below, along with any sort of critique you would like to offer. Please remind your friends to make a selection as well. The voting will remain open until noon Sunday. Remember, just like AlNAIR did last week...you too can throw your pen name into the hat anytime during these last six weeks by submitting your own 250 word sample. Check out the rules by clicking on the badge below…then come out swinging! I have to go with Lady Grimm on this one. Same here - Lady Grimm. Felt more of a connection with the dialogue. Neither piece struck a chord with me. I suppose they are both fantasy (which isn't a favorite of mine), but of the two, I vote for Lady Grimm. The dialogue won out over the excessive description. Some beautiful word choices and writing in both, but I felt more engaged with Lady Grimm. 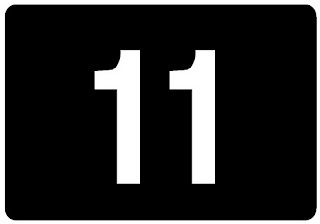 #11 - my fave number. Okay...I am going with Ainair. I like the descriptions. I felt like I could really visualize and feel it. Definitely Lady Grim. The first is mostly description and it quickly lost my interest. The second one is a clever blend of description, movement and dialogue. I'm going to go to #2 because more things happened in it. Less was used on description. My vote is for #1 AlNAIR even though the tense kinda threw me. I'm not sure if I would have liked it more in past tense ... I liked the second one, but there was too much telling rather than showing. It seems like back story when told that way. OK, enough of this. 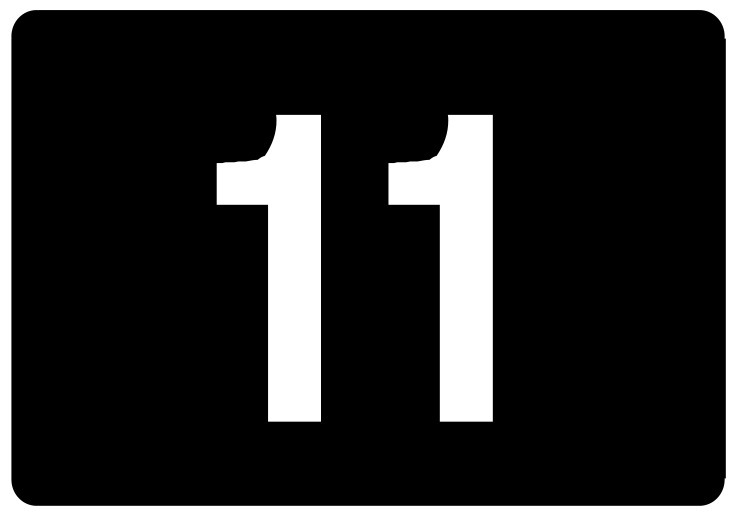 I'll vote w/#1. I'm not sure it's my style of book, but I thought the descriptions were lovely and poetic and it flowed very well. Although #1 had lovely descriptions, it was TMI for me. MY VOTE #2 Lady Grimm. Good descriptions, and they got thing rolling. The descriptions in #1 were lovely, and I found I could picture things perfectly. Kudos. I also got restless halfway through, looking for the action to start. #2 was a nice combo. Yes, the second one was a good balance of the elements. It gets my vote. I'm not usually a fan of description, but #1 did pull me in much more than I expected. My vote will still go to #2 though - I liked the characterization of the 2 characters in so few words. Lady Grimm gets my vote. I could see the scene better. Both were entertaining, though! I'm going to go with #1. I would have liked more action, but I think this is a good setup for the action that will come. My vote is for ANAIR. I felt really drawn in by the imagery and emotion of the characters. Wish I could read what's next! Tough one. Lady grimm. It's got style. I'm having a harder time choosing this week. I think I'll cast my vote for Ainair. It was a bit too descriptive, but I loved the tone of the piece. The second one did have more movement and great dialogue, but the way it ended was a bit too abrupt for me. Such hard balances to strike in so few words. Ah, royalty this week. I like both of these very much, and read through each twice before deciding. On a first read, #1 felt a bit description heavy, but on the second time through I felt the poetry of it, and the ending grabbed me each time, so I'm voting for #1. Lady Grimm for me this week! My vote is for Lady Grimm. My vote is for number two. I felt more connected to the writing. It was the dialogue and action that brought me in to the story. Number one felt more stilted and I did not feel connected to the characters or the story world at all. I am not big on a ton of description. I like to feel present but through talk and action. Cbeck out my blogfest when you have time. I have four prizes and two are pretty awesome. Sorry I missed the last round (or two?). Been crazy busy with planning my book cover release! Boy, am I glad I'm back this week! These two entries are both fantasy, and about kings! Tough choice, but I'm going to buck the trend and go for Ainair. That piece would make a great introduction/blurb to a fantastic story! #2 has my vote. The first was too much like a character sketch for the author's own personal use.